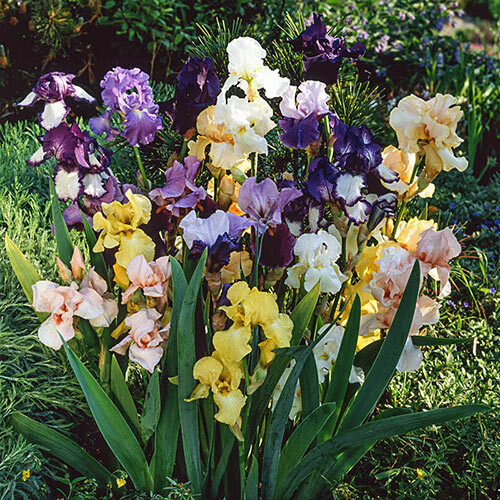 A mass planting of mixed tall bearded irises makes one outstanding display. However, you'll need a good number of rhizomes to make it happen. 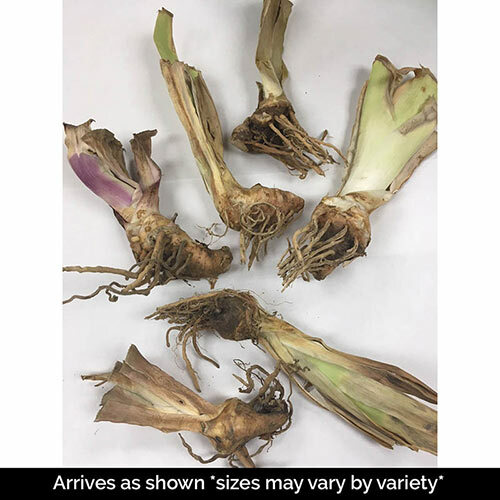 Use the Tall Bearded Iris Grab Bag to fill out your iris border affordably. Our experts have selected plenty of great varieties. You'll receive six randomly selected, high-quality, individually labeled rhizomes at a grab-bag value price. 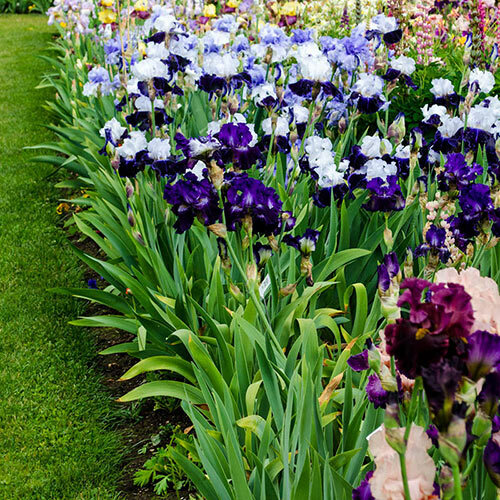 You can also use your Tall Bearded Iris Grab Bag to fill out and heighten the drama in a mixed perennial bed! Just be sure it's with other plants you don't have to water or mulch too heavily, as Tall Bearded Iris do not like excess moisture. Past that, they are easy-growing and produce an abundance of jaw-dropping blooms.